- Add awesome text, captions, or messages to your videos easily and creatively. 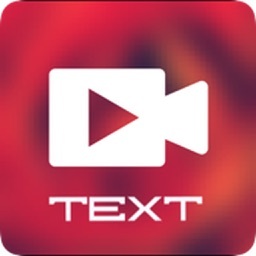 - Place the text anywhere: Move, Scale and Rotate the text at will. 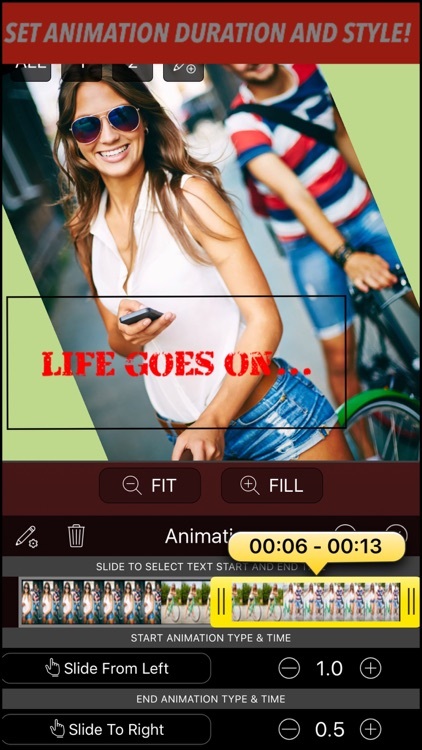 - Duration: Select the start time and duration simply by dragging the time slider bar on your video. 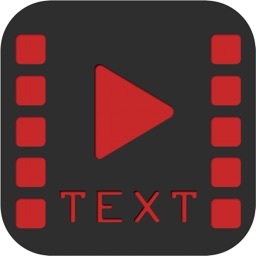 - Text Animations: Select animations to start and end each text. 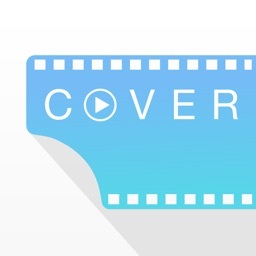 - More than 100 cool fonts. 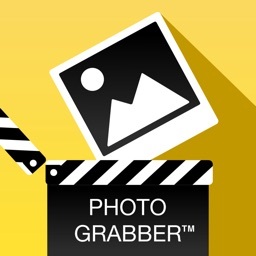 - Easily select from the given captions or quotes without typing. 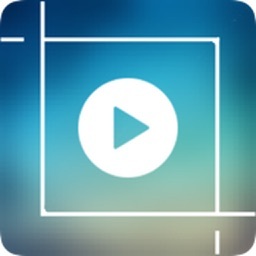 - Crop your video to square by moving, scaling and rotating in anyway you like. 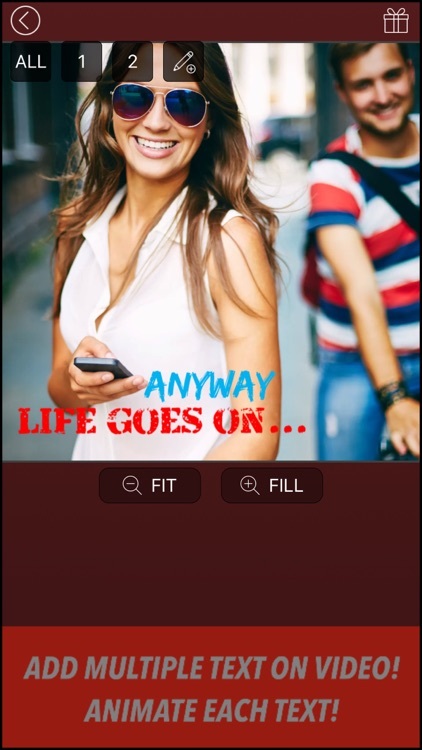 - Add background music from the app library or your own ipod tunes. 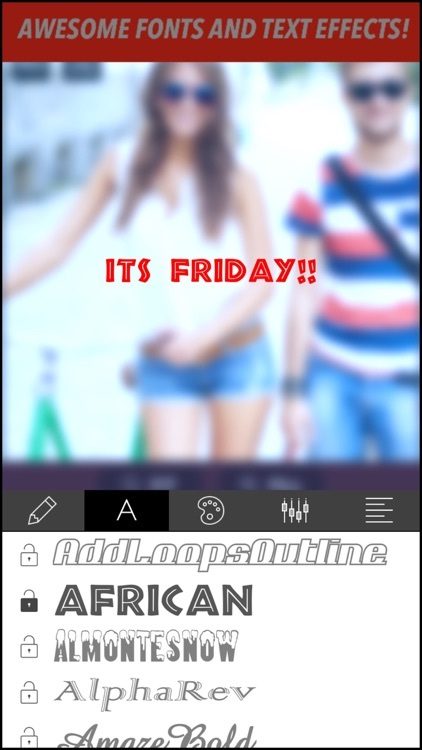 - Add filter effects and shape overlay!! 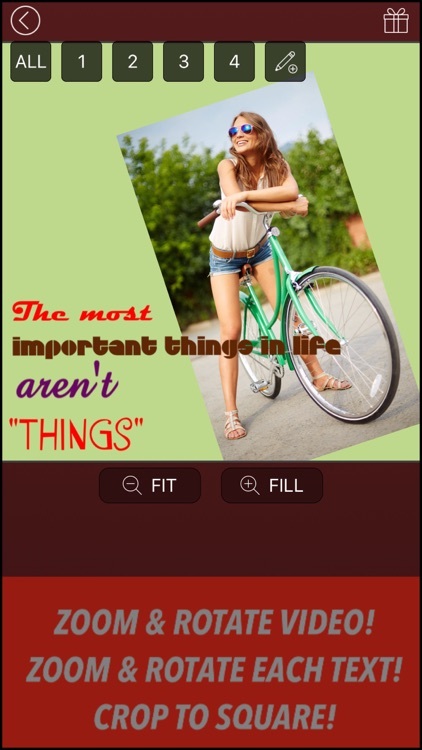 - Explore more features yourself as you keep using ! !